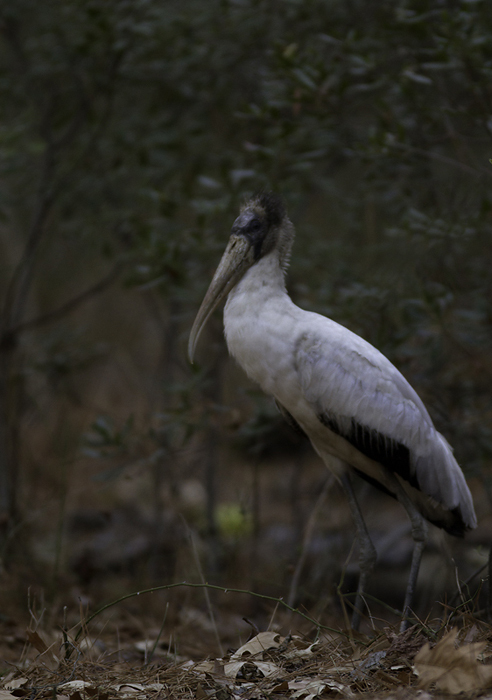 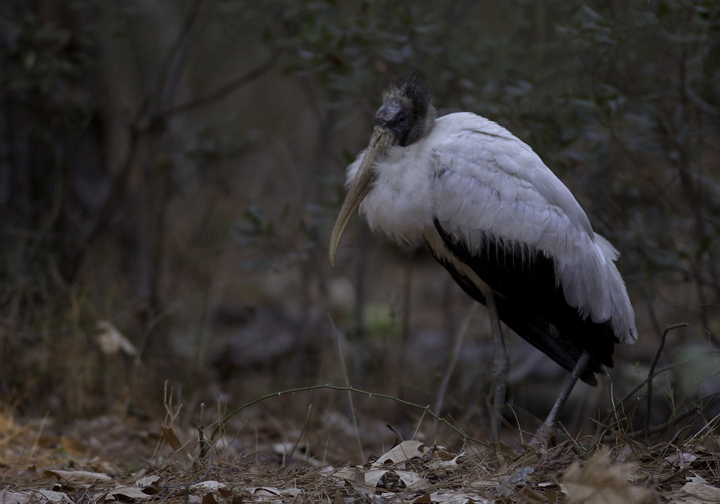 Wood Stork in Maryland. 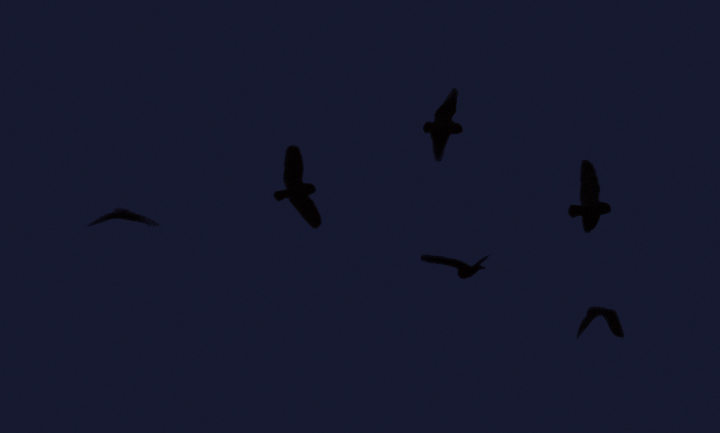 Last updated: 2/21/2011. 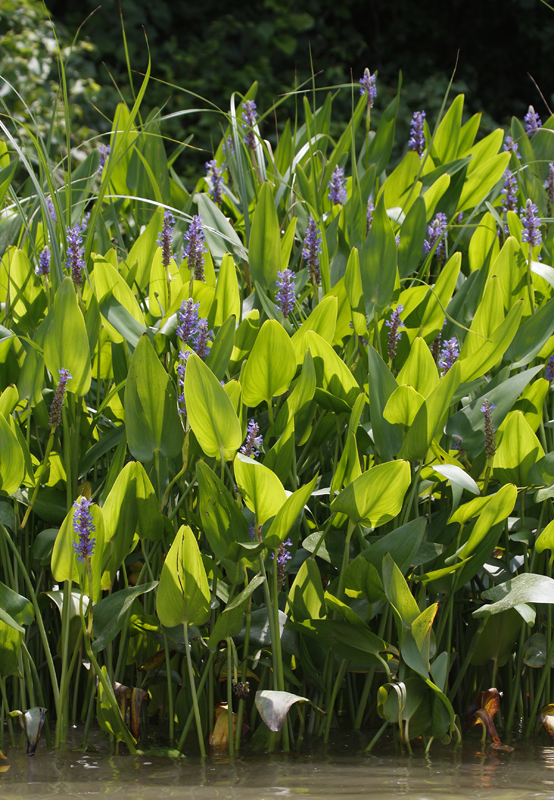 Below: Habitat shots. 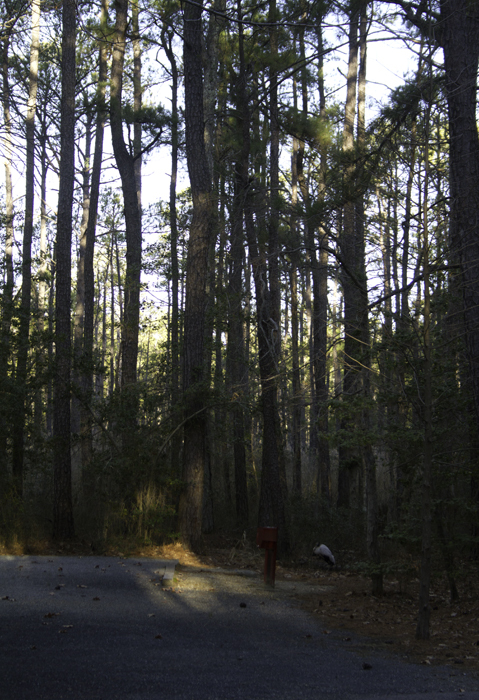 It spent its time roosting in campsites amidst the loblolly pine woods of the Point Lookout SP campground. 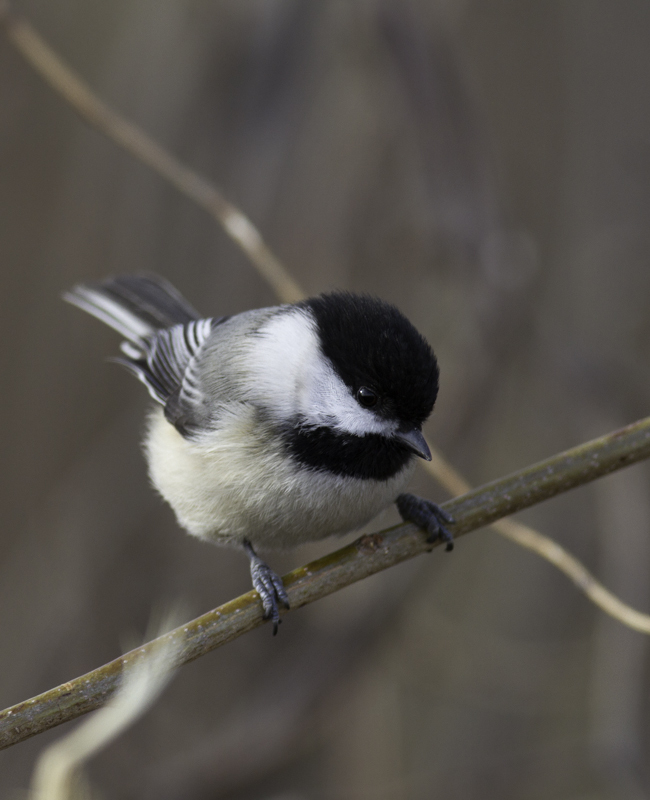 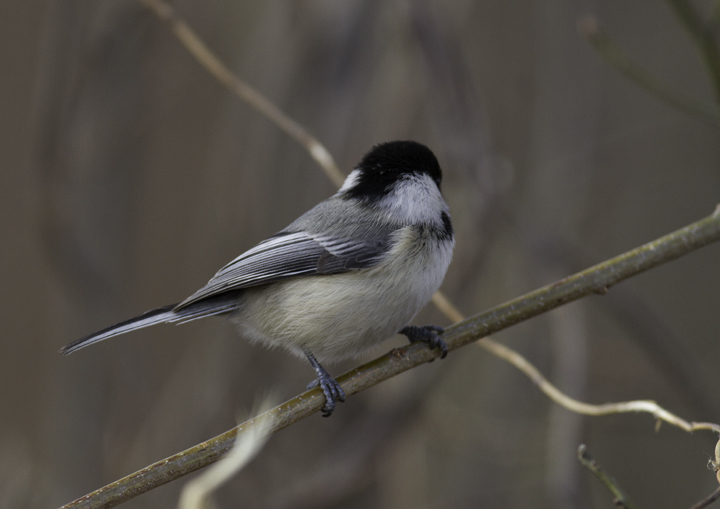 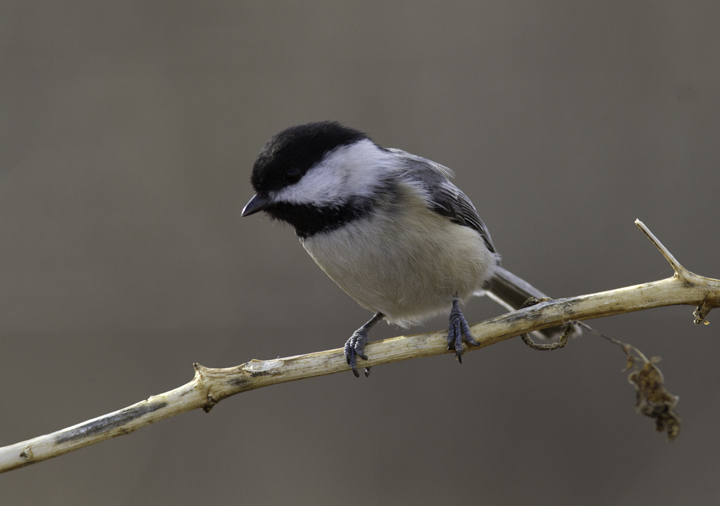 Below: A Black-capped Chickadee in Millington WMA, Kent Co., Maryland (2/20/2011), a continuing bird found by Dan Small. 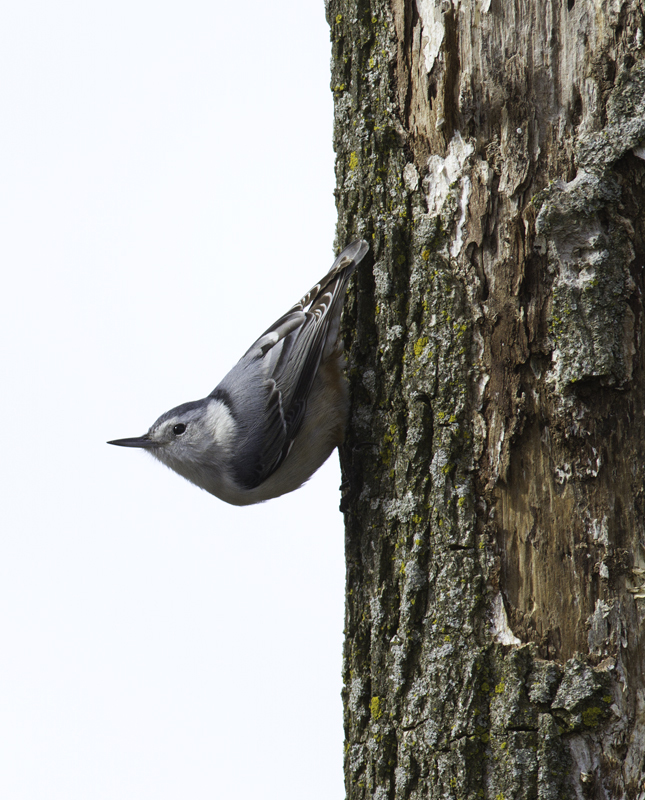 Records from the Eastern Shore of Maryland are extremely rare even during irruption years. 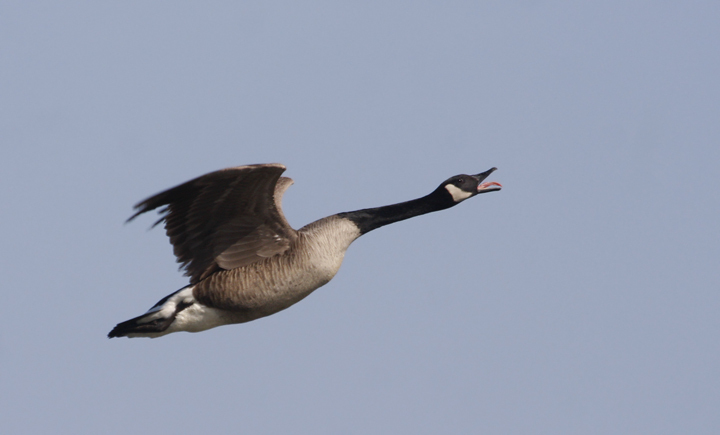 From an MDOsprey post from Jim Stasz (11/9/2005): "I might add something that is not in most field guides. 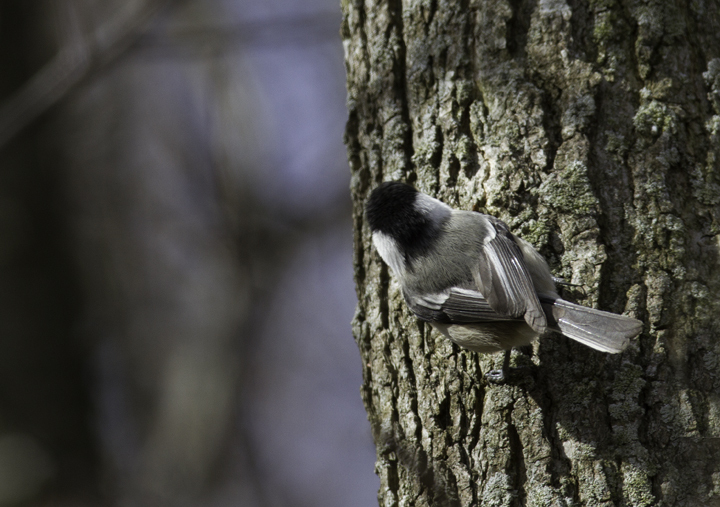 If you look at where the black of the head meets the nape, on Carolina the black is rounded and has a limited boundary with the gray back and on Black-capped, the nape is squared with a larger shared boundary with the gray of the back." 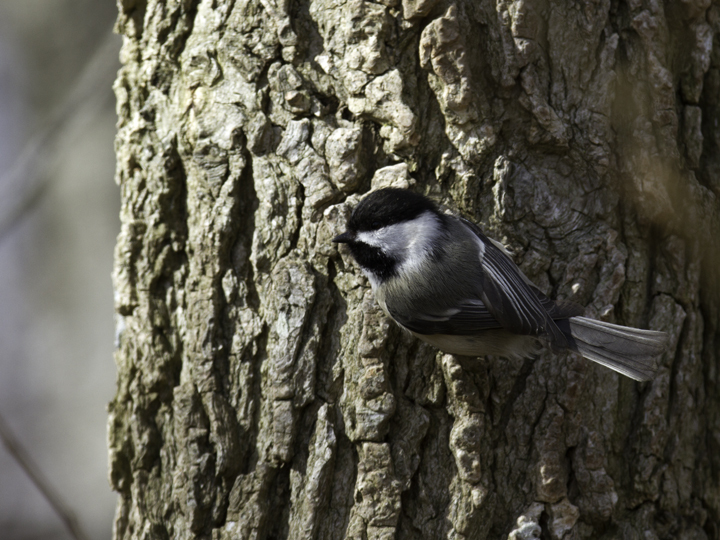 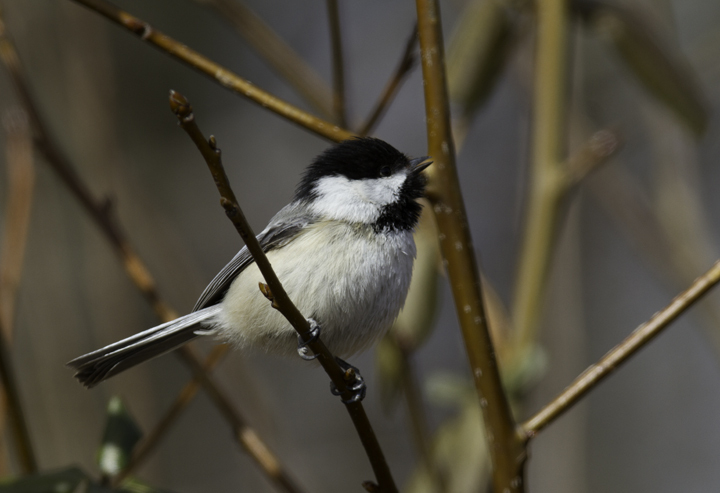 Below: A Black-capped Chickadee at Stemmers Run in Cecil Co., Maryland (2/20/2011). 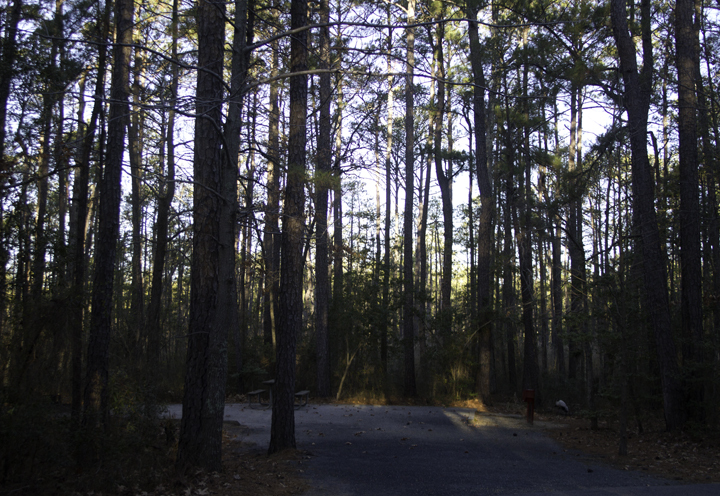 As this location is south of the C&D Canal, this site might also be considered the Eastern Shore. 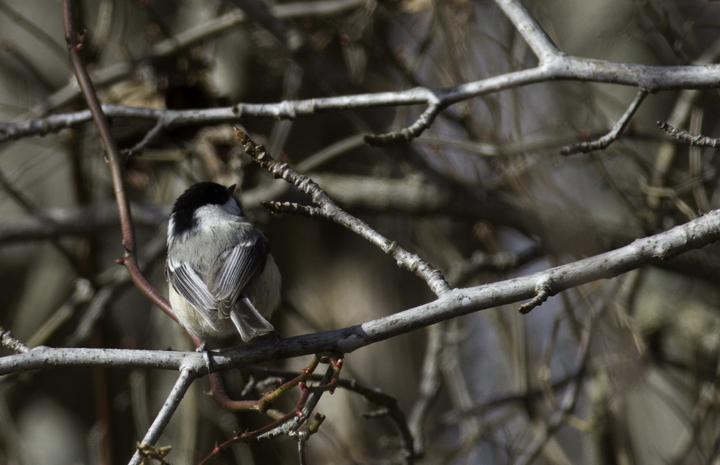 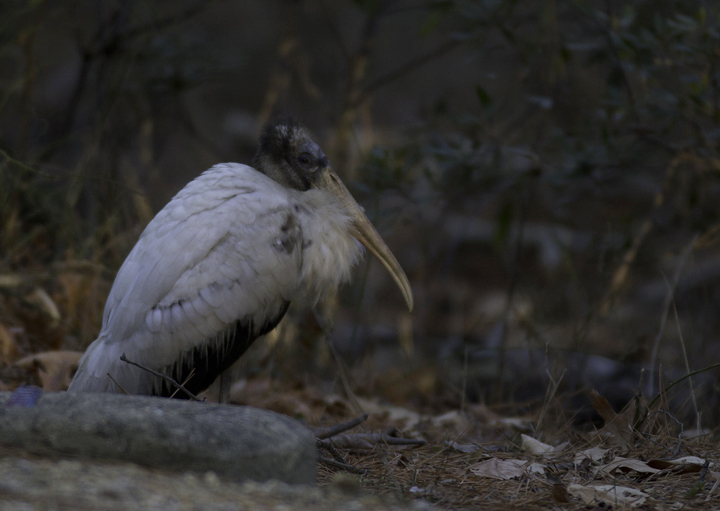 When this bird became agitated, it even did some singing, which I hadn't previously heard from an irrupting Black-capped. 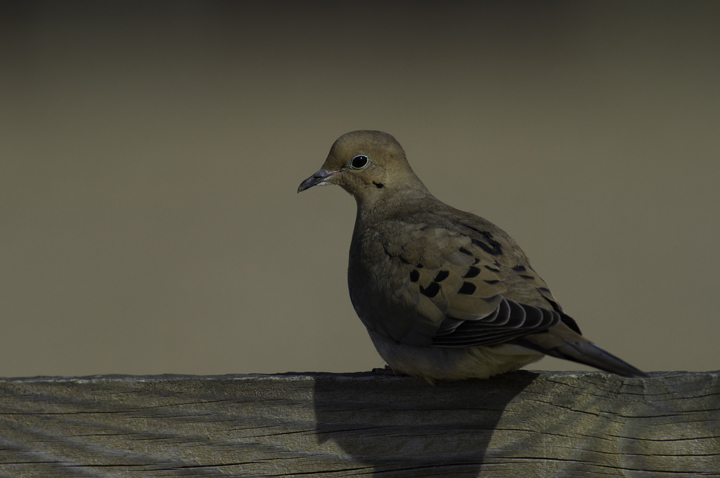 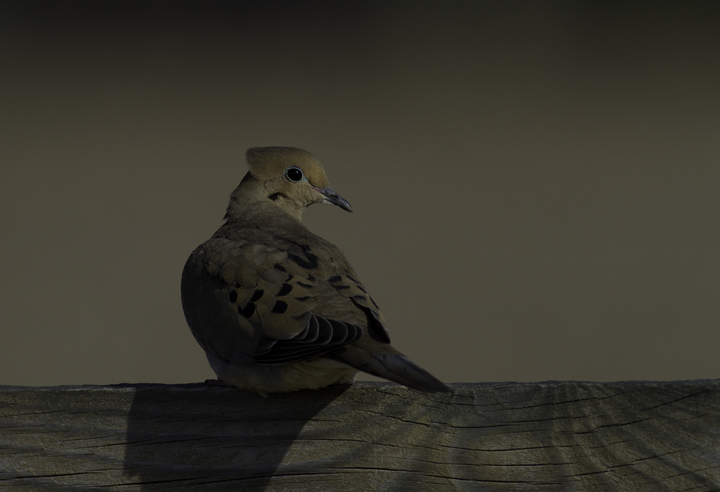 Below: A Mourning Dove poses in soft morning light in Queen Anne's Co., Maryland (2/20/2011). 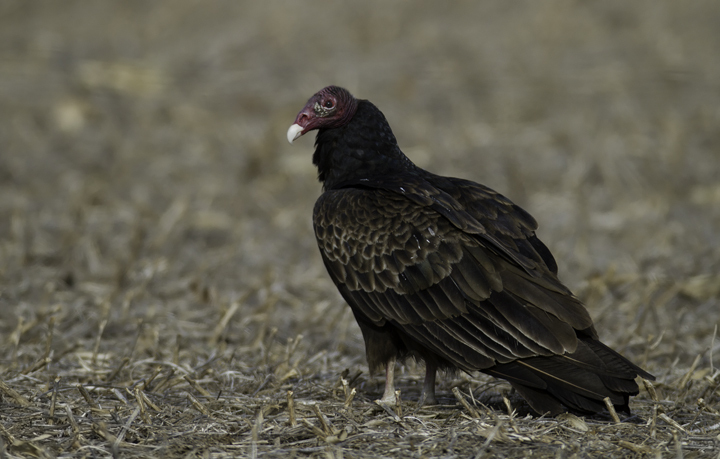 Below: A Turkey Vulture waits its turn near a deer carcass in Cecil Co., Maryland (2/20/2011). 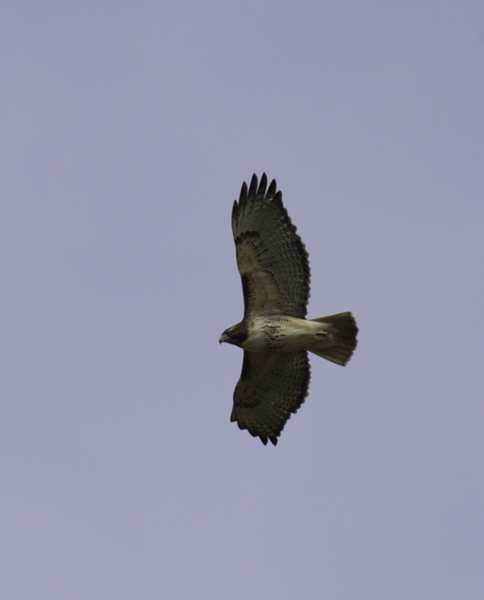 Below: A Red-tailed Hawk soars over Millington WMA, Maryland (2/20/2011). 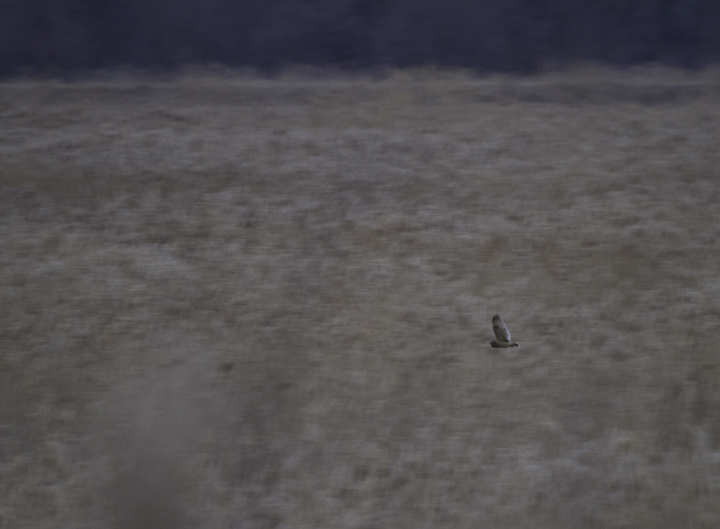 Below: A documentation shot of a Short-eared Owl in Cecil Co., Maryland, where this species is rarely detected (2/20/2011). 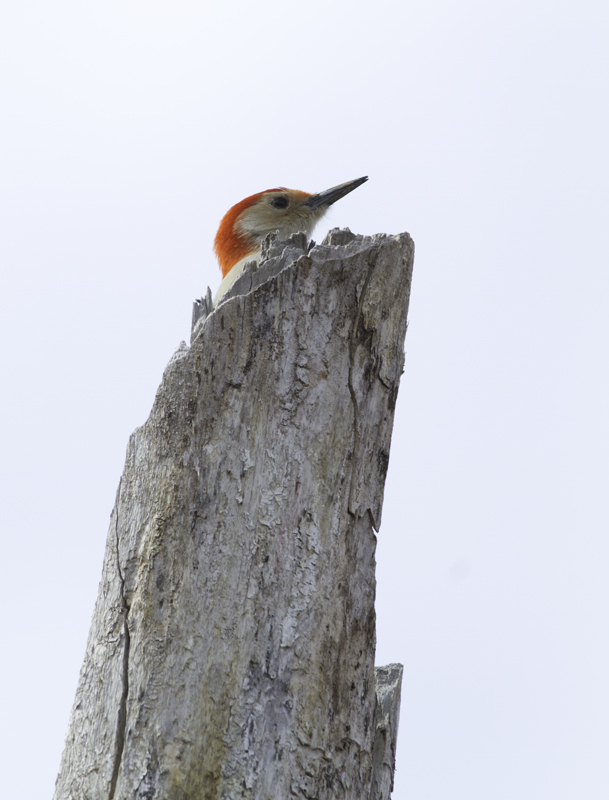 Below: A Red-bellied Woodpecker in Kent Co., Maryland (2/20/2011). 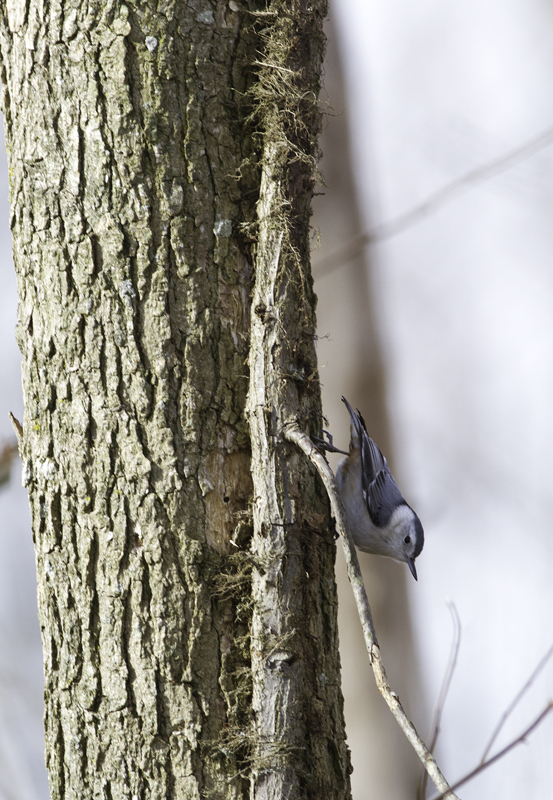 Below: A White-breasted Nuthatch in Kent Co., Maryland (2/20/2011). 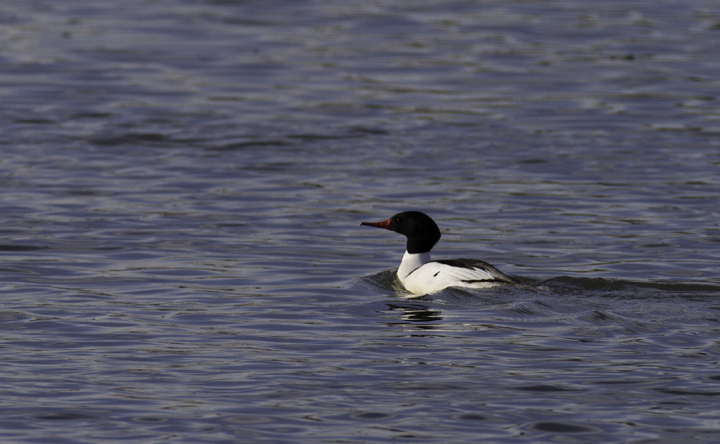 Below: A drake Common Merganser in Cecil Co., Maryland (2/20/2011). 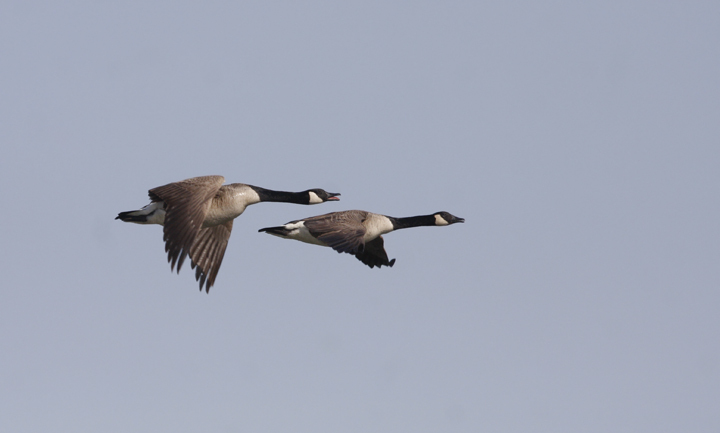 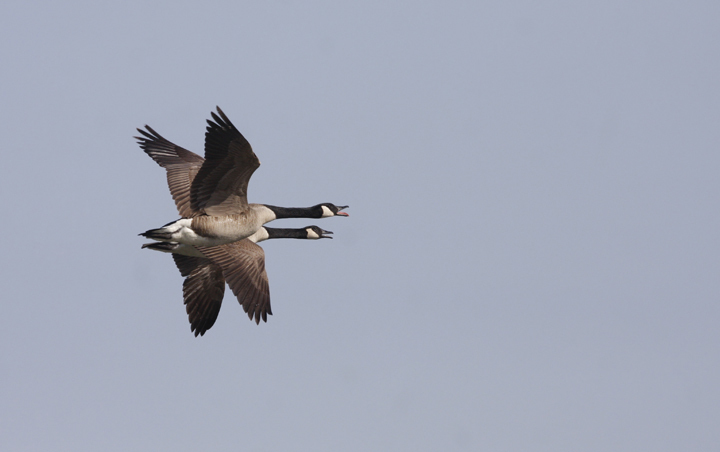 Below: I dug through the archives a bit while my Internet was out - Canada Geese in flight while kayaking near Fort Smallwood, Maryland (4/4/2010). 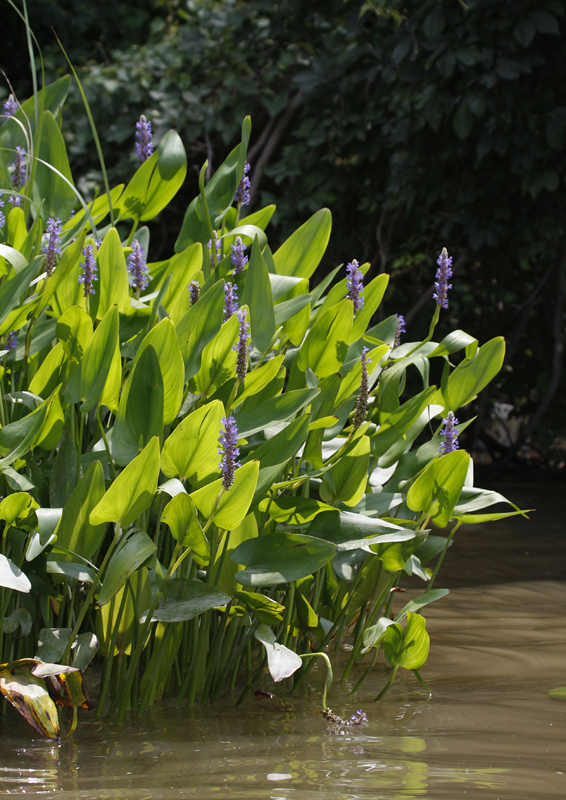 Below: Blooming Pickerelweed along the Patuxent River, Calvert Co., Maryland (6/20/2010). 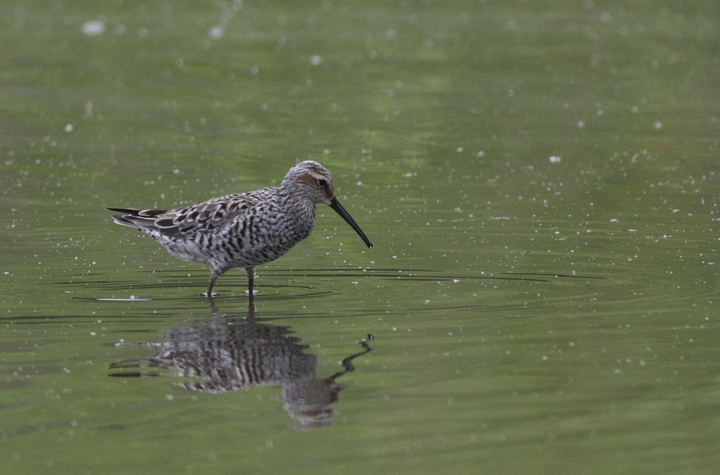 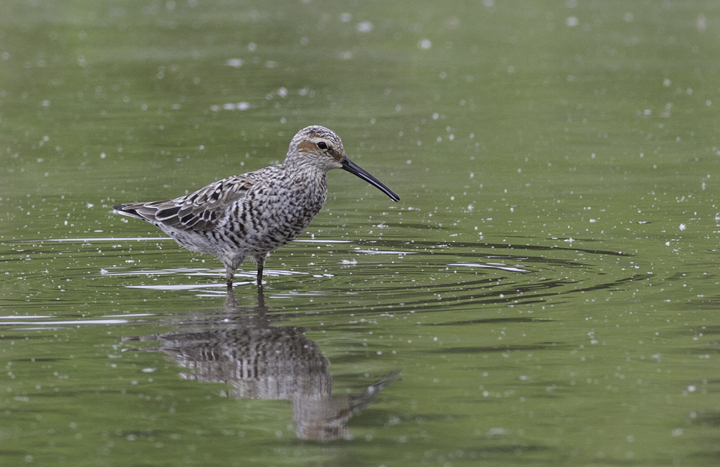 Below: A Stilt Sandpiper in Prince George's Co., Maryland (5/16/2009). 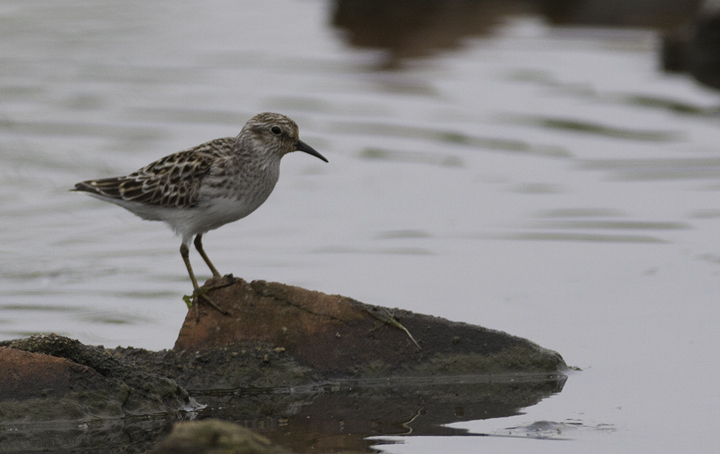 Below: A Least Sandpiper in Prince George's Co., Maryland (5/16/2009). 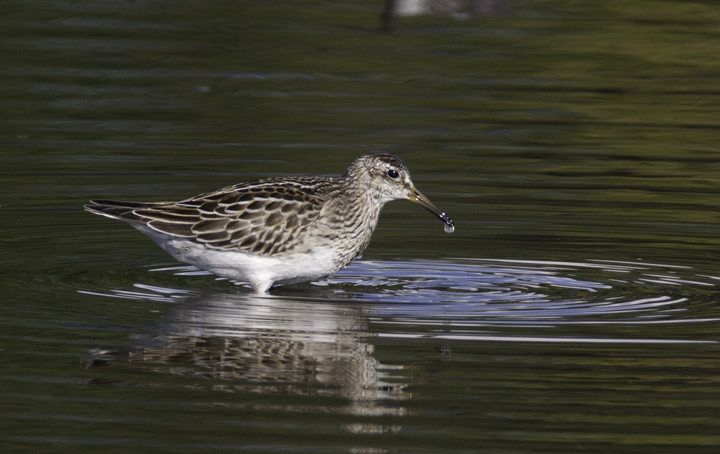 Below: A Pectoral Sandpiper at Horsehead, Queen Anne's Co., Maryland (10/4/2008). 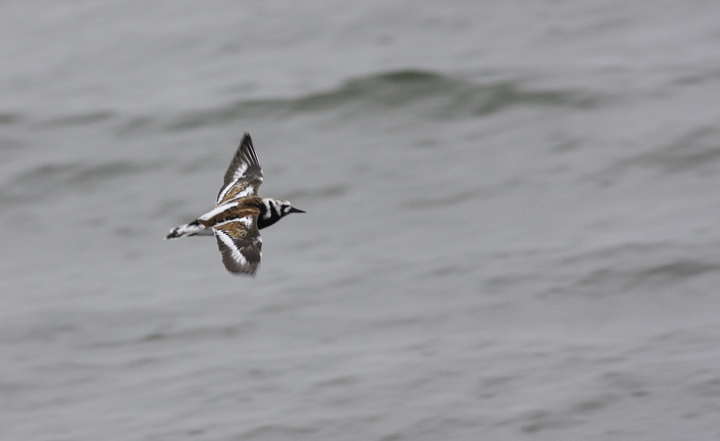 Below: A Ruddy Turnstone in flight at the Ocean City Inlet, Maryland (5/19/2009). 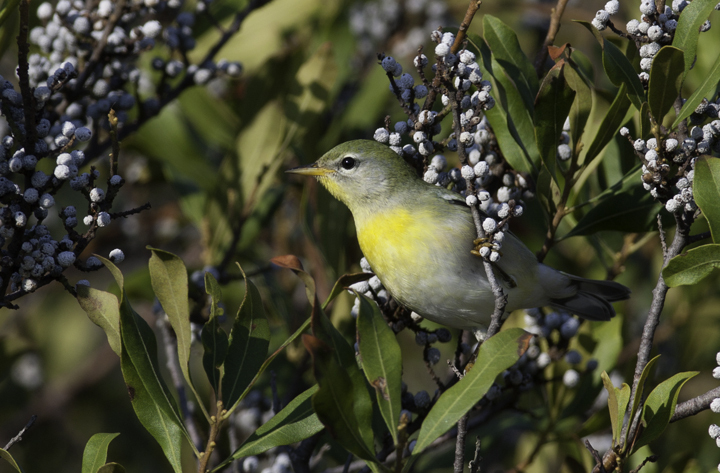 Below: A Northern Parula in Worcester Co., Maryland (10/5/2008). 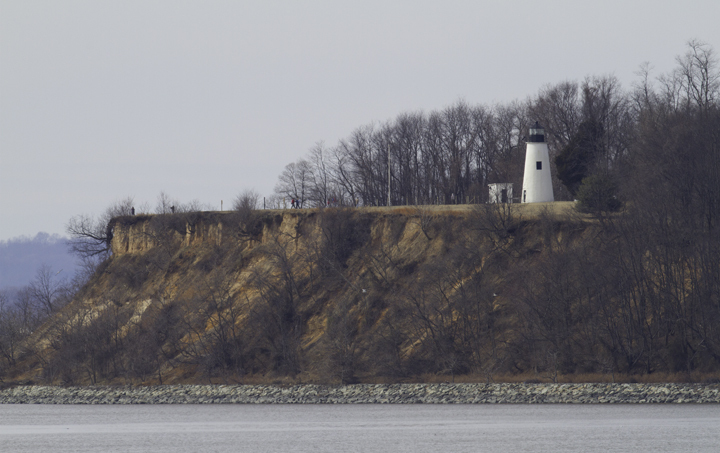 Below: A view of Turkey Point from an uncommon vantage point - Crystal Beach, Maryland (2/20/2011).